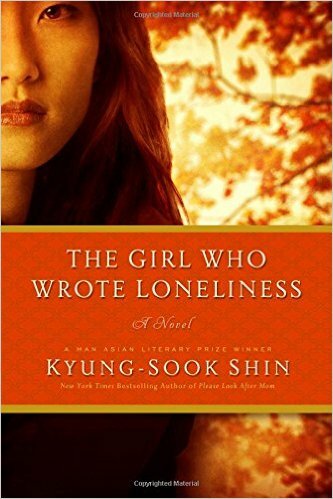 Kyung-sook Shin is the author of the new novel The Girl Who Wrote Loneliness. Her many other books include the novels I'll Be Right There and Please Look After Mom, which was translated into more than 35 languages and won the Man Asian Literary Prize. 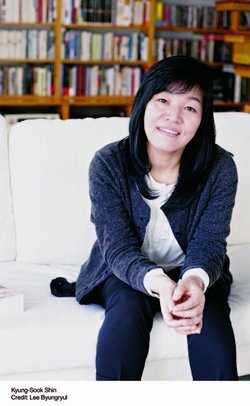 She is one of South Korea's best-known writers. Q: You write of The Girl Who Wrote Loneliness that it “has turned out to be something not quite fact and not quite fiction, but something in between.” Was your writing process different with this book, compared with the others? Q: The novel jumps around in time, with some scenes showing your narrator as a teenager and others as an adult. Did you plan the book’s trajectory out before you started writing, or did it evolve as you wrote? A: I decided to write the present in past tense and the past in present tense from the start. I thought, by doing so the two periods in time would meet in the middle as the present descends towards the past and the past ascends towards the present. I wanted to [show that] the past does not merely disappear but it is interlocked with the present. The trajectory of the book was also enhanced as I felt more confident in dealing with time shifts in the process of writing it. Q: Your narrator says that she’s skipped over her late teenage years in her memories. Why does she decide to try to explore them? A: The narrator decides to explore those years because she thinks she cannot avoid facing the wounds any longer no matter how hard [it is] for her to cope with them personally or socially. Though it is a call from an old friend that makes the narrator set out to write the book, she already realized deep inside she could live free in the future only when she was able to look her own pain square in the face. A: I’m working on a story about four characters and their failed love, arranged in an omnibus format. It shows separate stories about each character, but the stories are intertwined with each other. --Interview with Deborah Kalb. For a previous Q&A with Kyung-sook Shin, please click here.